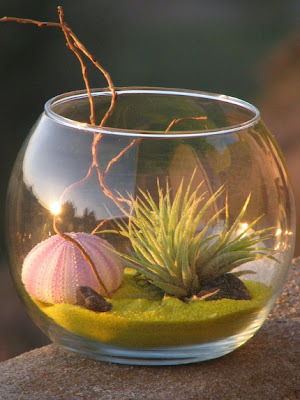 Today we swing back into the low-maintenance sector with these stately terraria from Still Lily, as available on Etsy and spotted at etsystalker.com. I like the combination of ocean and desert elements- makes me think of some fossilized ocean in the middle of the desert. Very Georgia O'Keeffe in New Mexico.